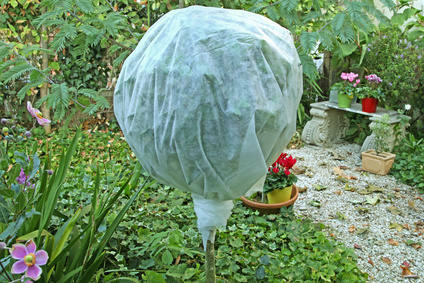 You are here: Home > Gardening > Special reports > Save your Stephanotis from the cold, invite it in your house! Stephanotis is a beautiful vine that deserves to grow for years. Keep it alive for more than a season by transplanting it to a pot to bring it indoors over the winter! Stephanotis is a truly wonderful plant, and protecting it over the winter will help it produce more flowers in the following season. Stephanotis, also called Madagascar jasmine, is a plant native to Madagascar. Summer temperatures there reach a mild (for the tropics) 80°F or 27° C, but winter temperatures there never get any colder than 48 or 50°F, equivalent to 9 or 10° C. This is in July since the island is in the Southern Hemisphere. Although a very well-winterized Stephanotis might survive short bouts of colder temperatures that drop below that, it’s definitely not the usual. Most Stephanotis plants will die if exposed to temperatures below 48°F / 9°C for more than a couple days, and won’t grow back at all after any time of frost or freezing. The best call to let your Stephanotis make it over the winter is to bring it indoors in a cool but non-freezing spot. Ideally, some type of heating element should be provided to ensure temperatures stay above 50°F / 10°C at all times until spring. The following stephanotis transplanting guide works for a plant that has grown to up to 6 feet tall. Any larger would require some type of lifting device since the root clump would also get correspondingly larger. 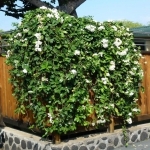 Uproot your stephanotis after the blooming but before temperatures drop too much. 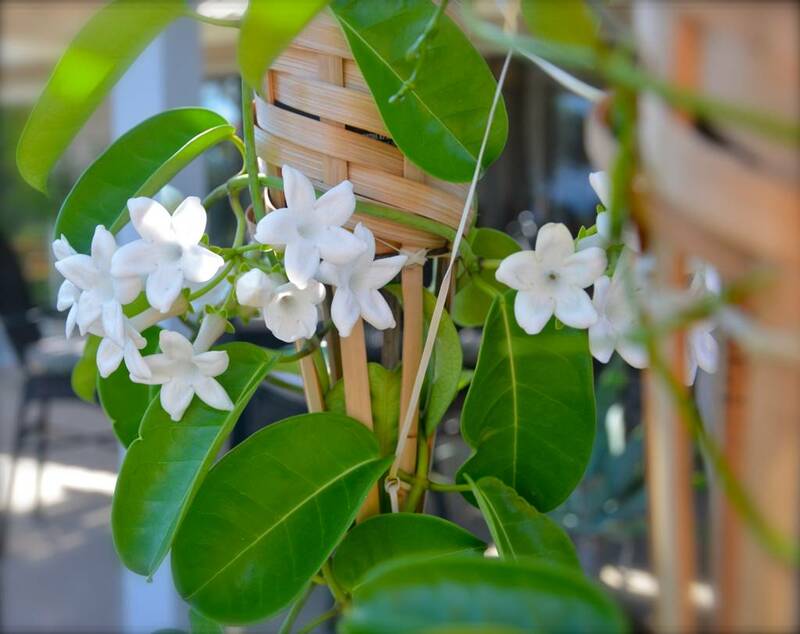 Fall or autumn will maximize the chances of protecting your stephanotis. Prune your stephanotis back by about two-thirds, leaving one-third of the stems connected to the main structural stem. Mark a circle around the soil around 2 feet (50 cm) across with the trunk at the center, and cut the root ball out with a sharp spade. Cure (air-dry) for half a day (2 to 4 hours) in the shade for the wounds to heal. Place the root ball in a large pot (around 1 ½ feet or 45 cm wide) with drainage gravel and fresh soil mix at the bottom. Backfill the pot with a blend of old soil, from where the plant was, and fresh potting mix with a handful of ripe compost. Water abundantly once, and then only when dry. Keep the plant in its original place for up to a week to minimize transplant shock, bringing it in only after 5 to 7 days. Try to be helped by someone, since the root ball can get quite heavy, especially if the ground is moist. 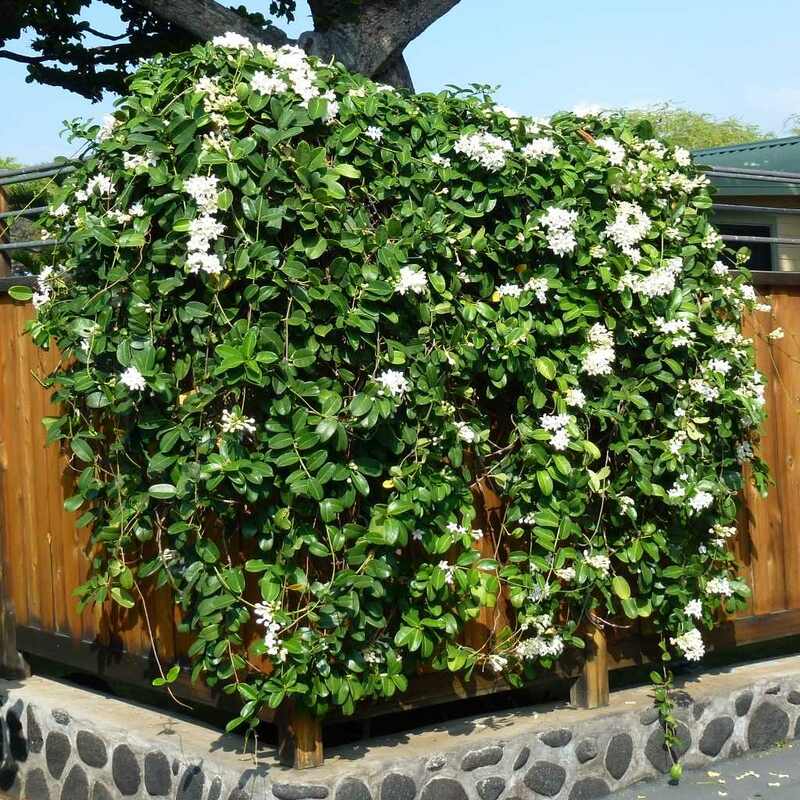 A lean-in, windowed deck or patio or even a greenhouse with a small heating unit will be perfect for your transplanted stephanotis, since it should stay anywhere between 50 and 60°F (or 13 to 15°C) during the entire winter. It will enter a dormant phase, producing new roots during warmer days. During this time, water sparingly, only once the soil has dried out to a depth of an inch. Don’t add any fertilizer, the initial nutrients in the fresh compost should be enough. Spring should start triggering new growth and stems will start shooting out. You can replant your stephanotis outside towards mid-to-late spring, once any risk of freezing has subsided and temperatures are consistently above 50°F (10°C). 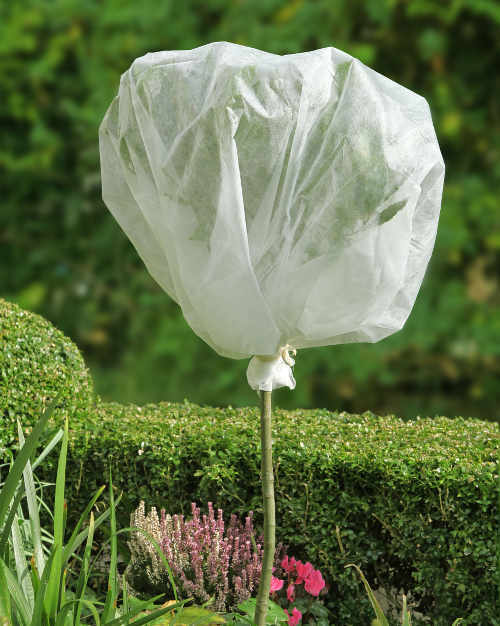 Follow our guidelines on how to plant a shrub or small tree. First of all, try to create a lattice or treillis that actually forms a basket towards the bottom where the roots can grow. Having this firmly embedded in the root ball makes lifting the plant out easier after cutting around it with the spade, and minimizes root damage. Another solution is the pot-in-pot method, where two pots of the same size are used. One pot will remain embedded in the ground while the other houses the root ball. When pulling the plant out, simply lift the inner clump and pot out, and snip any roots that break off in the process. Remember to topdress yearly or repot with fresh soil every two years with compost added in to replenish the soil. 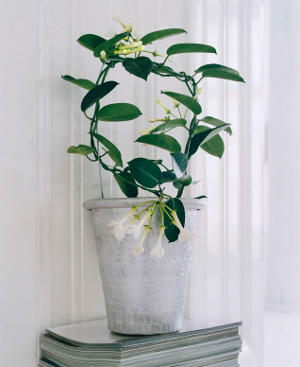 Note that with these techniques and the regular pruning, your Stephanotis will always remain within a certain size range. Adapt your lattice or treillis accordingly!